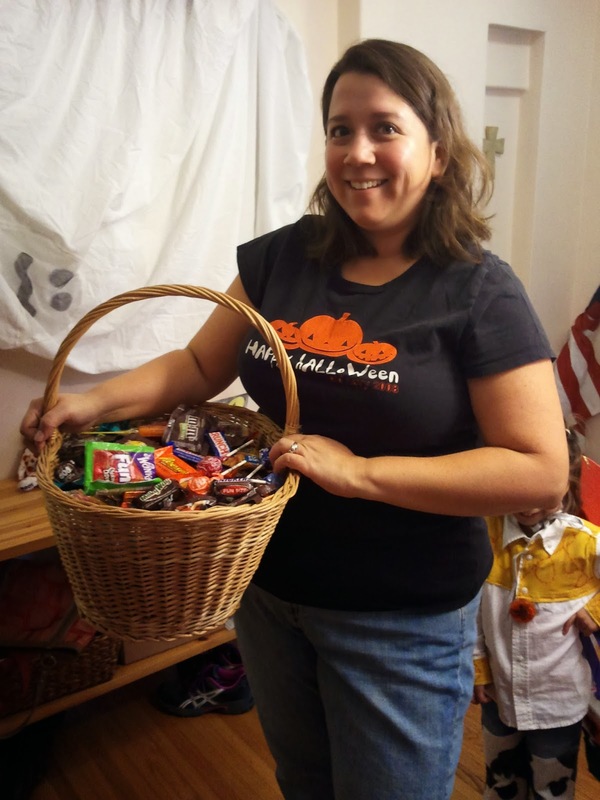 Montebello Mom: Halloween & the Price of Candy: Are you ready for Trick-or-Treaters? Halloween & the Price of Candy: Are you ready for Trick-or-Treaters? 550. That is the number of kids who come to our door at Halloween. No joke. I count. The kids get bused in from East L.A. and they're dropped off in front of my door. I used to spend around $100 every Halloween. Since I started using coupons and stocking up early I now spend less than $50 for the same amount and quality of candy. To get a good deal on Halloween candy you need to read the serving label on the back of the package and do some calculations. Find how many candies are inside the package and divide the cost by the number of candies. A good price on candy is 5-10 cents a piece. Buy candy when it's on sale and if possible use a coupon to maximize your savings. I once bought Pixie sticks for half a penny each! Halloween is also a great opportunity to clear out the cupboards. Last year we accidentally bought Gushers instead of regular fruit snacks and I had about 2 dozen kid-power-bar type snacks that I received as samples that my kids didn't care for. Both of those went to trick-or-treaters. One year I gave Play-Doh! It was a hit, especially with the older kids. A good price for the small individual canisters is 15 cents a piece.